Fans of awesome songwriter and multi-instrumentalist Evan Frankfort (Melodine, Les Friction) can rejoice, as alternative sci-fi rock duo The Spiritual Machines, comprising Evan and lead vocalist James Grundler (Din Pedals, Palo Alto, Golden State) has just released the brand new single Brave New World. The song was, as usual, written, produced and recorded by Mr. Frankfort himself and is another cinematic rock winner. You can buy/stream Brave New World on BandCamp or cdbaby. If you're a Spotify user, check it here. Stay tuned for news about the upcoming third The Spiritual Machines' full-length album. Texan alternative rockers Alpha Rev fronted by songwriter Casey McPherson (also singer in the supergroup Flying Colors) have a new album out. It's called Cas.e Sessions Volume 1 and is the first self produced record from Alpha Rev. You can stream it right now on Spotify. Cas.e Sessions Volume 1 includes all songs from the first season of the cas.e sessions, the band's service dedicated to the fans that, becoming members, have access to music, videos, short documentaries, private online shows that no one else sees etc. "These songs are each written around a topic or experience I had. All very different and some of my most creative work. I'm very proud of it and I hope you enjoy the ride" wrote Casey about Volume 1. Case also shared with us a new lyric video he made of the song My Evolution. He did most of it on the iPhone, with the Filmmaker Pro app. Check it out clicking on the image. 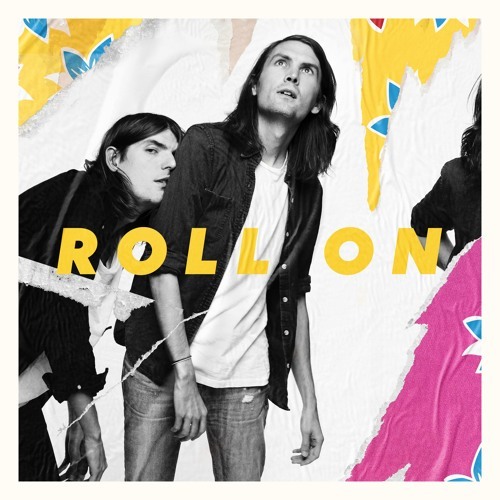 New York City based band The Rassle - comprising of brothers Reed and Blair Van Nort from Austin, Texas - independently released their debut album Roll On last November, 2. Roll On was co-produced by John O'Mahony (Metric, The Kills), mixed by Alex Suarez (Lorde, Lefti) and mastered by Chris Gehringer (Bleachers, CHVRCHES). Influenced by such acts as Arcade Fire, Kasabian and, Imagine Dragons, The Rassle deliver guitar oriented, stadium-size anthems with a nice dose of electronic. "We worked so long and so hard on this thing it was almost hard to let it go. Being in a band is hard like that. Putting yourself out there is not easy. Writing words that you hope might inspire people is pretty scary. But we felt like what we had to say and how we wanted to say it was an important enough message to not quit on ourselves. That's what this record is to us. It's a protest record. It's a never surrender record. It's a damn the torpedoes kinda thing. So we hope you dig it. We hope you share it. We hope you find something that will inspire and push you to do the things that you never thought you could do" said the brothers about Roll On. Stream this brilliant album on Spotify or on SoundCloud now! South African alternative rockers KONGOS return with an anthemic new single, Pay For The Weekend, the band's fourth musical release of 2018 leading up to their 1929 - Part 1 album release on January 18th, 2019. Pay For The Weekend is in a way the title track from the band's upcoming album. When asked about the song, Jesse Kongos said, "It's about the up and the down and how they can't exist without each other. There's nothing like coming down from a big weekend to remind you that maybe today or maybe some time down the line the effect of every cause will eventually play out and start the cycle all over again." Returning to blaring guitar riffs, gang vocals, South African drum rhythms, and a melodic chorus, Pay For The Weekend embodies the KONGOS sound they've become known for - and to quote the first verse, it will "make you want to party like it's 1929." Jesse added, "We didn't hold back when it came to making the chorus and groove like an arena-ready chant, but at the same time we didn’t want to lose the sentiment and real meaning of the lyric. I think we were able to achieve that by using an upright piano and some of our dad’s vintage synthesizers like the Jupiter 8 amongst other things to bring out the underlying harmony which had a kind of pathos to it". Watch the official lyric video for Pay For The Weekend clicking on the image and donwload/stream it on your favorite digital music service. 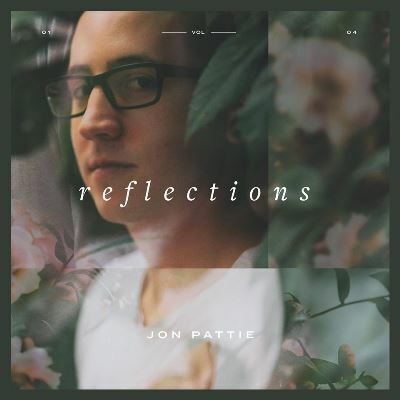 Austin, Texas native and Nashville, Tennessee based indie-pop singer-songwriter Jon Pattie released Reflections Vol.I - the first of a four-volume set - last November 7. The EP features three songs, including the single Won't Be Young. "The process of making Reflections Vol.I was a lot more emotional than I had anticipated. All of the songs on the EP tackle a hard truth from not being satisfied with my career path at the time to my search for true, internal happiness," explains Jon Pattie. "All three of the songs were written when I was struggling with depression but each one has a different energy to it. Music has always been a way for me to understand my own emotions and this is especially true for this EP. I'm excited to be able to share this music with others in hopes that they can connect with the songs like I have." About the three songs: Reflections is a folkish and very personal slow number, while State Of Mind is an intimate indie-pop track with smart arrangements. But the real winner of the EP is the aforementioned Won't Be Young: an indie-pop rock song with a late seventies/early eighties west-coast arrangement and a soul aura, that will see you instantly reach for the repeat button once the song is over. Jon Pattie is a very promising artist and you should check him out now, if you still haven't: stream Reflections Vol.I on Spotify and stay tuned for news about the second chapter of the set.